Shahina Braganza is a senior staff specialist in Emergency Medicine in Queensland, Australia. She has previously also been a Director of Clinical Training. She is an examiner for the Australasian College of Emergency Medicine. 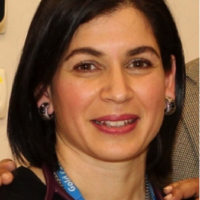 She is passionate about “non-technical” skills in medicine and has a particular interest in professionalism, communication and emotional situational awareness. She also has a keen interest in wellbeing, resilience and balance. She is outspoken about sharing stories of vulnerability, imperfection and courage in healthcare practice. Her portfolio in the ED currently includes coordinating interprofessional education, ED-mental health service liaison, and the Mindfulness in ED project.